I’m at Opus Research’s one-day Internet2Go show in San Francisco where there have been lots of good case studies and concrete talk about mobile marketing. Lots of it is local, but there is a fair mix of agency and brand representation. Even in those cases, key components of the mobile campaign often come down to the lower points in the purchase funnel, which are most often local (i.e., auto dealer locator). Blogging on the go, I’ll give one example: A company called HipCricket is adding mobile components to traditional media campaigns to make them more measurable. This is similar to work we’ve seen done by Google lately in print (now defunct) and radio. 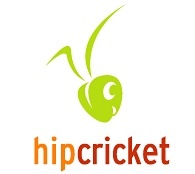 HipCricket has partly focused on the latter with SMS calls to action integrated with radio spots. The Coffee Bean and Tea Leaf coffee chain, for instance, ran a campaign with L.A. radio station KISS FM to get users to text “bean” or “coffee” to a designated short code and receive half-off coupons for a coffee drink. The promotion ran for three months, received 6,000 unique entries, and added a more measurable component to the radio spot. As a revenue model, the question is whether to treat this as a value-added feature to solidify ROI and drive or retain ad sales or to monetize these response rates in some way. The answer, according to HipCricket CMO Jeff Hasen, depends on what (when) you’re talking about. The other interesting thing about the campaign is that it’s purely SMS based — something that seems to get shrugged off in the general public eye in favor or sexier devices (read iPhone) and content delivery. But with smartphone penetration sub 20 percent, the more immediate and mass market opportunity lies with the more prevalent inputs: text and voice. An equally interesting case study was given by NearbyNow‘s Scott Dunlap, but since it was tied to a product announcement coming out next week, I’ll honor his request to keep a lid on it until then. We’ll also get to hear more from Dunlap at TKG’s Marketplaces conference coming up in March. Stay tuned.